The Flip Flap marine breakaway coupling offers passive monitoring of floating hoses and protection from excessive axial load and surge pressures. 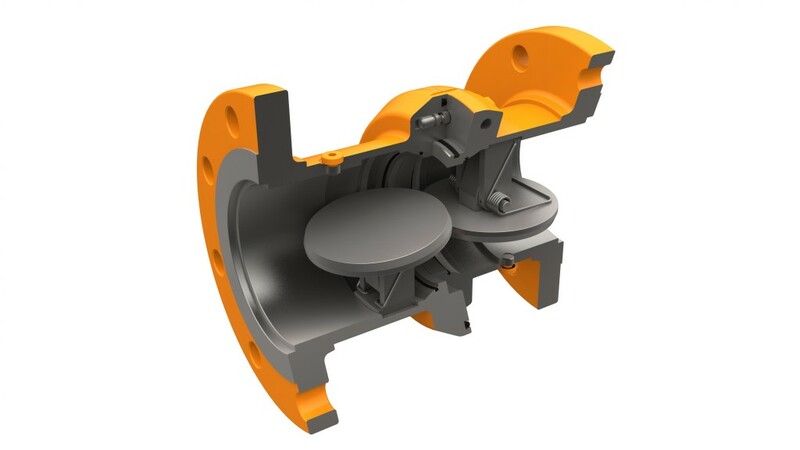 The standard coupling configuration comprises two sets of Flip Flap disc valves positioned either side of a calibrated titanium alloy weak-bolt flange assembly. The two halves of the Flip Flap separate once either a pre-set load, internal pressure or combination of both activates the weak-bolts. As the valves close liquid transfer is prevented, containing liquid within each section of the separated hose. The Flip Flap’s disc valves ensure 100% leak-free shut-off.